Print eye-catching Metallic balloons with your logo! At Helloprint, you can choose between 8 colours for your balloons. All our balloons are 100% biodegradable. 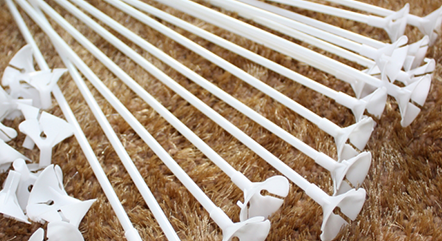 Print your balloons on one or two sides in one colour. Our balloons have a diameter of 33cm. Don't have your artwork for your balloons ready? No problem! At Helloprint, you can submit your artwork at any time. Do you have a logo with multiple colours? 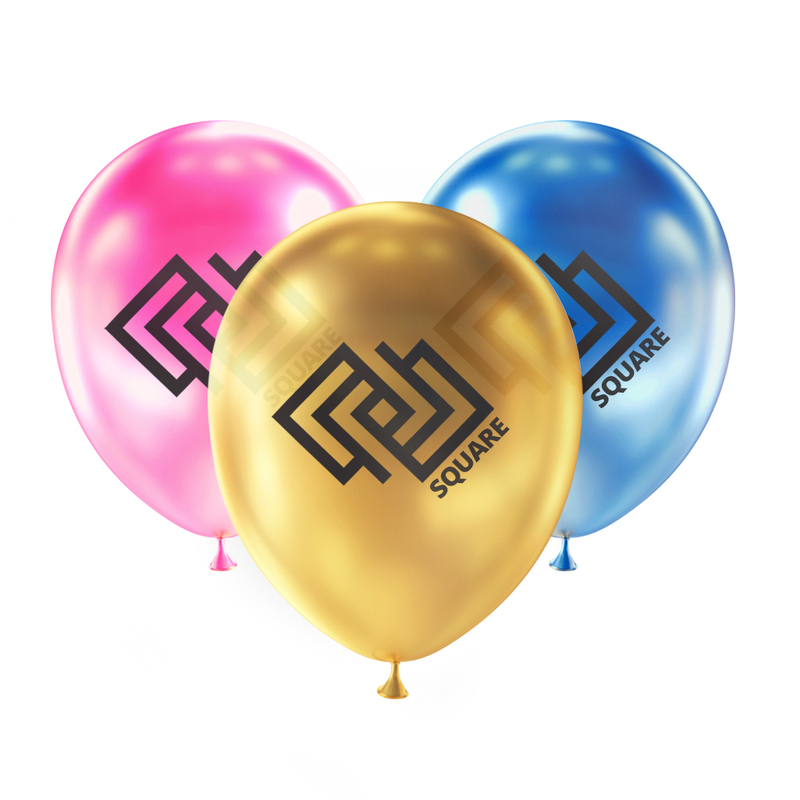 As balloons can only be printed in one colour, we suggest choosing a balloon colour that matches one of the colours in your logo. On 2 sidesSubmit a design for each side. On 1 sideThe back will be left blank. Let your balloon flutter in the wind with ribbons. Please note that the balloons needs to be filled with helium. Length of the ribbons: 110cm. 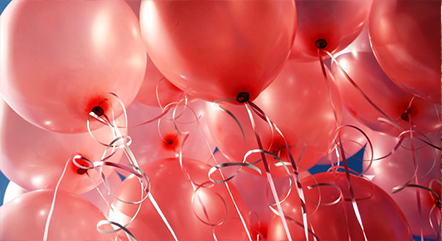 For the delivery of your metallic balloons we use multiple carriers. Because of the highest reliability, in most cases we use UPS or DPD. The metallic balloons that is chosen in most cases can be selected via our website. With how many colours are my balloons printed? Your balloons are printed with one colour. The balloons can be printed single - or double sided. What is the diameter of the balloons? The balloons have a diameter of 33 cm. Are you looking for bigger ones? Have a look at our giant balloons. What is the lenght of the ribbons? The length of the ribbons is approximately 110 cm. What is the length of the sticks? The length of the sticks is approximately 30cm. Of what material are balloons made? The balloons are made of latex. Latex is a 100% natural product which is 100% biodegradable.